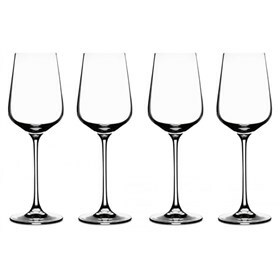 The Cuisinart CGE-01-S4WW is a 4-piece white wine glassware set made up of crystalline lead-free glass with titanium. Fine laser cut rim and unique shape with thin walls gives a perfect look to the stemware. The Titanium Touch makes the glass exceptionally clear and durable. 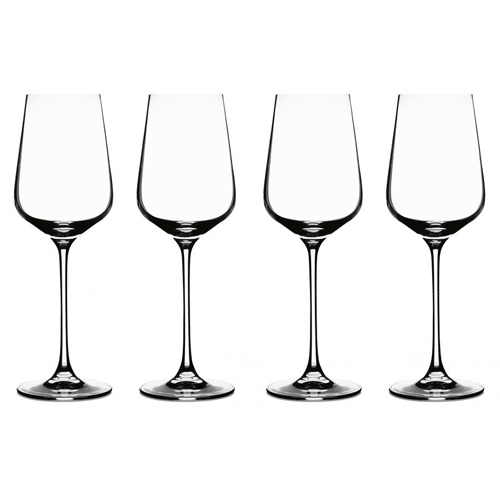 The 4Vivere White Wine Glass Set Of 4 Vivere Glassware has many exciting features for users of all types. See the 4Vivere White Wine Glass Set Of 4 Vivere Glassware gallery images above for more product views. The 4Vivere White Wine Glass Set Of 4 Vivere Glassware is sold as a Brand New Unopened Item.